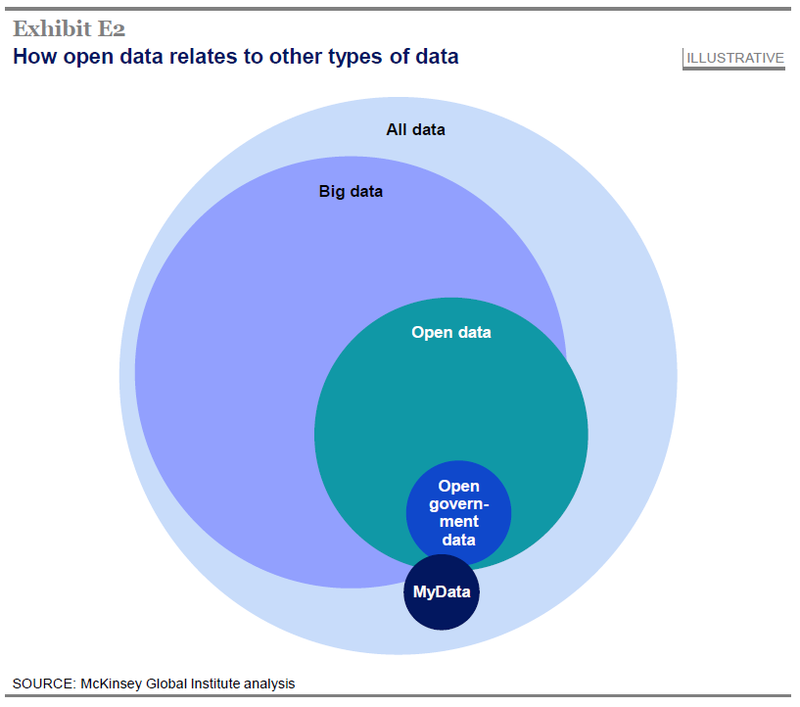 You’ve heard of Big Data, but what about Open Data? Big Data is one of The Hot Topics across industries & domains these days. Have you heard about Open Data though? Do you understand how the two are connected and what their value is across different verticals? They provide, among others, an extremely helpful depiction of the relationship between different types of data – creating a mental image that truly captures the gist of the subject. 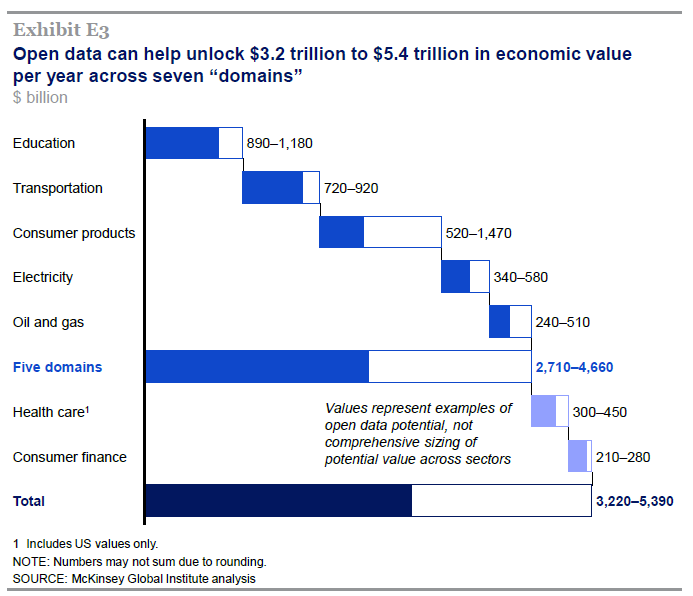 It even goes one step further and estimates the potential of open data in unlocking economic value across the aforementioned domains. Do you have a clear picture of the role that data can play to assist your business? 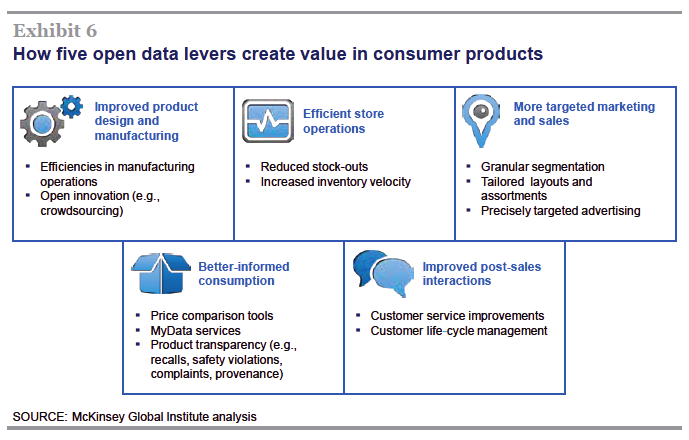 Have you identified the “Levers” of economic value?